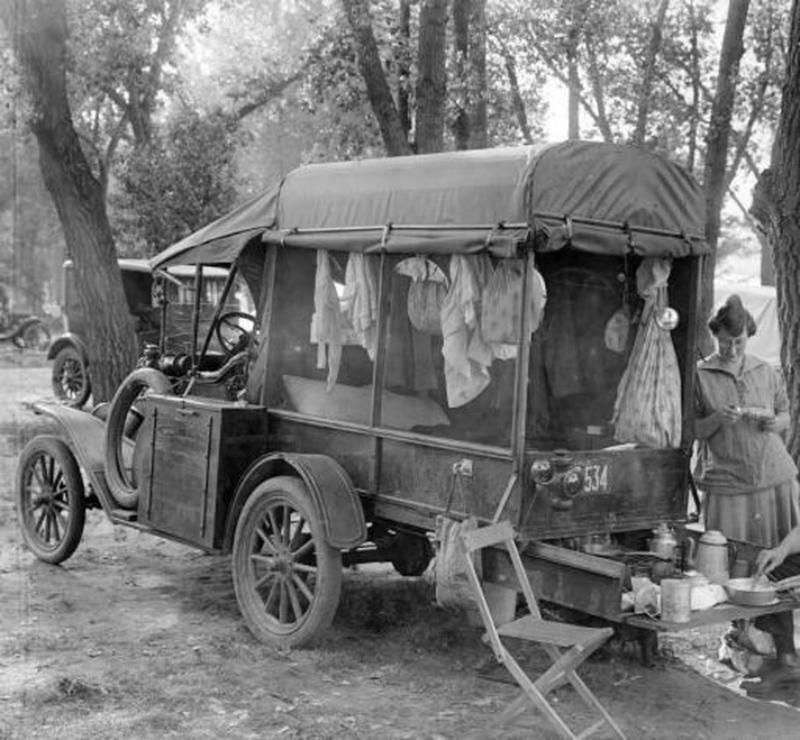 Camper Truck, 1918. A custom-built camper truck perfect for picnics and camping. There is a pull-out area for cooking, a screened-in living area with rain blinds, and ample storage on each side of the camper! Gospel Car No. 1, 1920. This RV was built by mechanic and preacher William Downer of New Jersey. 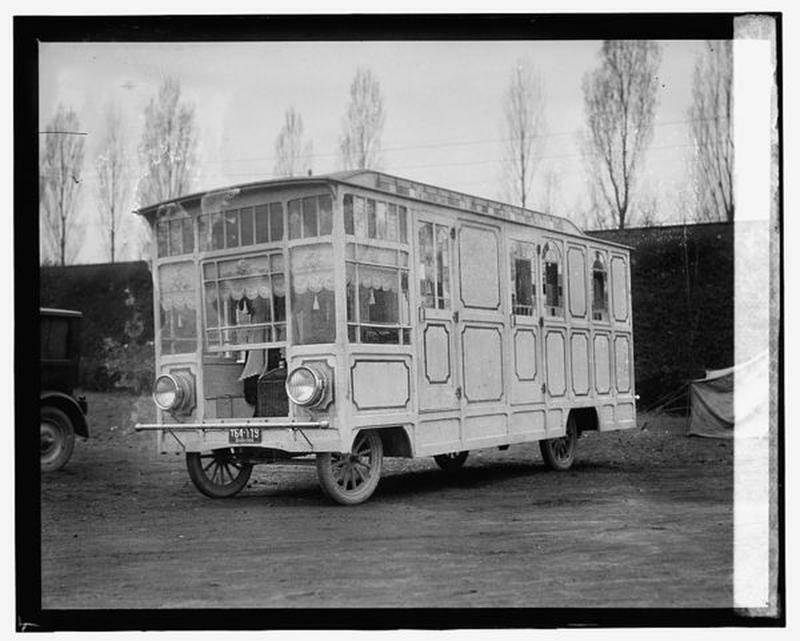 It was 22 feet long and can accommodate five, including Downer, his wife, and two of their daughters. It had a pop-up pulpit and organ - basically a traveling church. They took this mobile home on a cross-country trek in November of 1919. RV Adams Motor Bungalow, 1920. 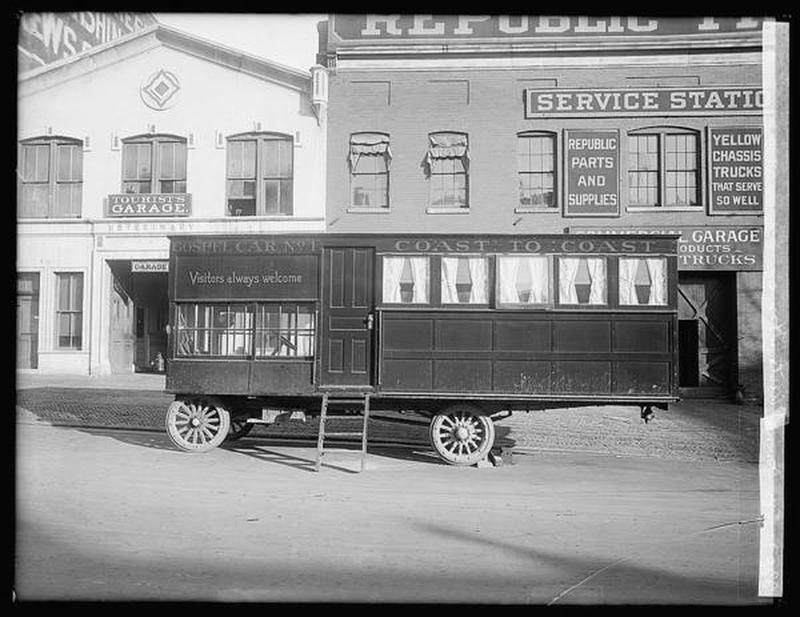 This was to be the first commercially-available RV, built by inventor Glenn H. Curtiss and billed as a "hotel on wheels". This early model started up the industry in the early 20s as other manufacturers released their models, which put the bungalow as part of the car itself. Custom Thatched Mobile Home, 1926. W.M. 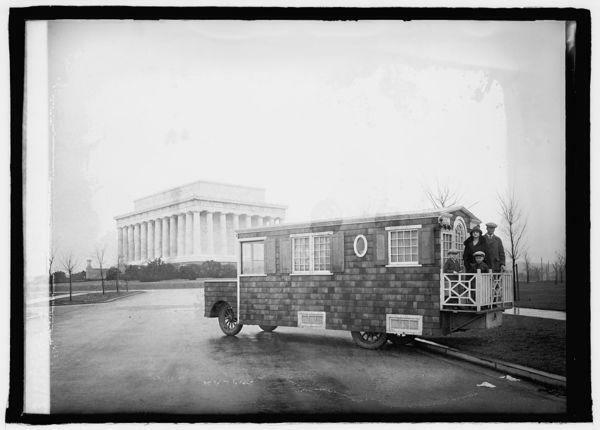 O'Donnell of Detroit built this beautiful mobile home for his family to use on a trip from Michigan to Florida. Ford RV, 1924. Little is known about this fascinating piece of work other than the photo was taken in 1924 and is a Ford model. What would your guess be?